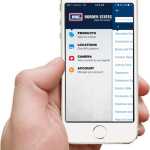 With our e-commerce mobile app you can search products, shop and manage your account all from your smartphone or tablet. 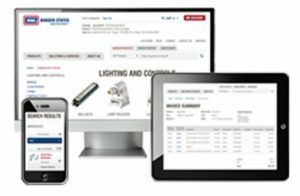 Search for products by entering a description, keyword, brand, part number or barcode scan. You can also browse product categories to find the product you are looking for. Can’t find information on a product? Snap a picture and send it to our support team. They’ll help you place your order of get the info you need. See all your account information such as shipping and bill-to information, quotes, open orders, order history and a list of your invoices. Manage them all from your phone or tablet. Find a Border States location near you. Choose a state, select a branch, map it or call. To download the app, follow the links on your phone or tablet. You may also visit the Apple App Store or the Google Play Store, search for Border States Electric and download the app.